This past Saturday, we lost a musician/singer. Amy Winehouse, the bluesy r&b voice that exploded just a few short years ago, was found dead at the age of 27. The newest member of the 27 Club is not just another footnote in the drug-induced culture of music over the many decades of jazz, blues, rock, rap and pop. She helped usher in an era of reckless and amazing. Her own haul of Grammys stands as a testament to her sound and style. But in the end, it was her vices that overcame her musical talent, getting booed off the stage just a few months ago and having multiple stints in rehab [her “No No No” turned into a “Yes Yes Yes“]. Musically, she’ll stand on her own over the years as people reflect on what she created and what was still left to create. Just a few short years ago, Adele came on the soulful scene with her debut called “19” which won her a couple of Grammys for Best New Artist and Best Female Pop Vocal Performance. Battling her own substance problems, she overcame them when it was obvious which side of the musical grass she wanted to be on. Amy paved the way for artists like me and made people excited about british music again whilst being fearlessly hilarious and blase about the whole thing. 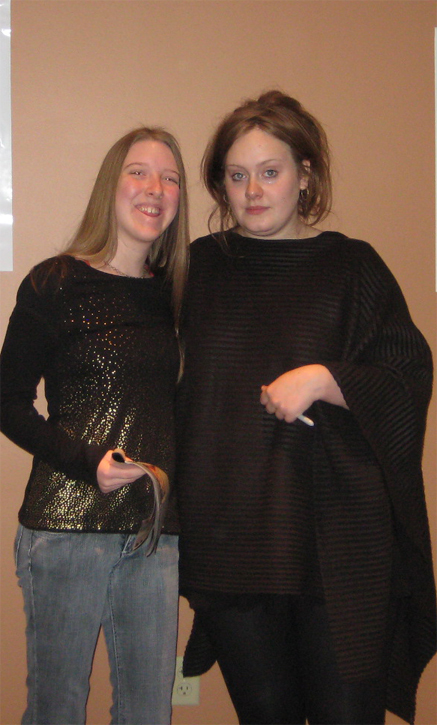 Like Amy, Adele has had two albums released, with her second “21” selling more than the debut. But unlike Amy, Adele seems to have a handle on her career and is focused on making it last. But alongside Amy and way before Adele hit the scene, it was Joss Stone, the youngster version of Janis Joplin, that made soulful vocals a strong draw for female artists. Joss exploded on the scene almost 8 years ago with her songs of strength and tone that made everyone stand up and take notice of. But unlike Joplin, she doesn’t appear to have had an issue with any drugs or debauchery. Instead, she’s been very focused since she started making records. And with a brand new album out “LP1” this week, Joss will prove once again that she’s in this for the long haul. While none of the artists you mention are really my cup of tea, they’re all super talented. Adele though, I must say, has caught my ear of late so might even check her album out. I really like Adele’s sound and voice. A most excellent talent. Adele does not look thrilled in that picture with your daughter. I wonder what was going on in her head then? If I remember correctly, she was under the weather. The new Joss Stone album is out on Amazon today for $3.99, as opposed to iTunes at $9.99. A sad loss for music with Amy’s passing, but not surprising. I missed getting the deal on the new Joss Stone album. Her voice is pretty incredible. Love Adele and Joss, but haven’t really gotten into Amy. I may need to give her another listen. It’s a shame that she threw her life away like that. I hope she’s at peace now. I’m way more into Adele than I was Amy. I love love love Adele. Her voice is so unique and soulful, like you said. I have not heard muh of the other too, but was sad to hear of such a young death. Adele is a great talent and one that I hope continues on throughout her life and career. If you like the three of them, I highly recommend Duffy. Great similarly styled voice. You may know one or two of the tracks as well. I’ll have to pick up Joss’ new album. I love her and didn’t realize she had a new one due. I think I’ve heard Duffy before. Agreed that she is really talented and has a great voice.